Edward Aaron Briggs Jr., 29 years of age, Address-East Kruger St., Westwego, La., was arrested on 3/22/2019 @ 6:40 P.M.
Edward A Briggs Jr. was located at the Morgan City Police Department and booked on active warrants held by City Court of Morgan City. He was booked and incarcerated. Kimberly Glynn, 29 years of age, Address-General Hodges, Morgan City, La., was arrested on 3/22/2019 @ 7:48 P.M.
Kimberly Glynn turned herself into the Morgan City Police Department on active warrants held by Morgan City Police Department. She was booked and incarcerated. Rayan Paul Payton, 32 years of age, Address-Felterman Lane, Patterson, La., was arrested on 3/22/2019 @7:58 P.M.
Rayan P. Payton was located at the Morgan City Police Department and placed under arrest on an active warrant held by City Court of Morgan City. He was booked and incarcerated. Amanda Lynn Smith, 37 years of age, Address-Everett St., Morgan City, La., was arrested on 3/22/2019 @ 9:26 P.M.
Amanda L. Smith turned herself into the Morgan City Police Department on active warrants held by Morgan City Police Department. She was booked and incarcerated. Trey Minos Estelle, 26 years of age, Address-Mallard St., Morgan City, La., was arrested on 3/23/2019 @ 2:19 A.M.
Officers observed a vehicle traveling on Mallard St. flashing its headlights at passing motorist. Officers conducted a traffic stop and identified the driver as Trey M. Estelle. During the traffic stop, Estelle was found to be in possession of suspect synthetic marijuana. Upon running a computer check on Estelle driver’s license it was found to be under suspension. He was placed under arrest and transported to Morgan City Police Department for booking and incarceration. 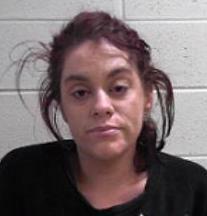 Madison Evelyn Mehrtens, 27 years of age, Address-General Hodges, Morgan City, La., was arrested on 3/23/2019 @ 5:05 A.M.
An officer observed a vehicle traveling east on HWY 182 cross the center line. Upon conducting a traffic stop the driver was identified as Madison E. Mehrtens. 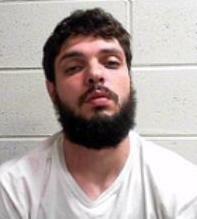 During the traffic, Mehrtens was found to be in possession of suspected marijuana and drug paraphernalia. She was placed under arrest and transported to Morgan City Police Department for booking and incarceration. Huey J. Comeaux III, 31 years of age, Address-Ditch Ave., Morgan City, La., was arrested on 3/23/2019 @ 9:44 A.M.
An officer observed a vehicle slowing to turn from HWY 182 onto Ditch Ave did not have two proper working brake lights. Officer also noticed the expiration tag on the license plate appeared to have been tampered with. The officer conducted the traffic stop and identified the driver as Huey J Comeaux III. During the traffic, stop officers learned Comeaux III had altered the expiration tag on his license plate and had no current registration and insurance on his vehicle. Upon running a computer check it found Comeaux III driver’s license was suspended. He was placed under arrest and transported to Morgan City Police Department for booking and incarceration. David Tyronne Francois, 47 years of age, Address-310 Barrow St., Morgan City, La., was arrested 3-23-2019 @ 1:03 P.M.
Kyle Rhett, 28 years of age, Address-General McArthur St., Morgan City, La., was arrested on 3/23/2019 @ 6:42 P.M.
Kyle Rhett was located at the Morgan City Police Department and booked on active warrants through 16th District Court and City Court of Morgan City. He was booked and incarcerated. Joseph Obanion, 24 years of age, Address-Sea Blue Lane, Gray, La., was arrested on 3/23/2019 @ 9:22 P.M.
Maison Rivere, 24 years of age, Address-HWY 402 Napoleonville, La., was arrested on 3/23/2019 @ 9:22 P.M.
Officers were called to a local business on Brashear Ave. involving two individuals causing a disturbance and refusing to leave the property. Officers arrived and witnesses identified Joseph Obanion and Maison Rivere as the individuals causing the disturbance and refusing to leave. Both Obanion and Rivere were placed under arrest and transported to Morgan City Police Department for booking and incarceration. Kenedrick Deshawn Webber, 34 years of age, Address- Canary St., Morgan City, La., was arrested on 3/24/2019 @ 3:46 P.M.
Officers were dispatched to a Mallard St. residence in reference to a domestic abuse battery complaint. Upon officers arriving they were advised by the victim that Kenedrick Weber had committed a battery them. Officers located Webber on Canary St. and placed him under arrest. He was transported to Morgan City Police Department for booking and incarceration. Chaunte A. Johnson, 40 years of age, Address-Railroad Ave., Morgan City, La., was arrested on 3/24/2019 @ 10:20 P.M.
Officers conducted a traffic stop on U.S. 90 and identified Chaunte A. Johnson as a passenger in the vehicle. A warrant check revealed City Court of Morgan City held active warrants for Johnson. She was placed under arrest and transported to Morgan City Police Department for booking and incarceration. Quentin Theodore Delco, 36 years of age, Address-Bowman St., Morgan City, La., was arrested on 3/24/2019 @ 10:45 P.M.
Quentin T. Delco was located at Patterson Police Department on active warrants held by City Court of Morgan City. He was placed under arrested and transported to Morgan City Police Department for booking and incarceration.